Now that Hulu Plus has been lifted out of preview, the video streaming service cut subscription prices to $7.99 per month from $9.99 per month. But don't worry if you've already paid $9.99; the Hulu blog says that subscribers who paid the higher price will receive a credit on their next billing cycle. The reduced price isn't that significant (you can barely buy a cup of coffee for $2 nowadays), but it should give Netflix a run for its money. There was speculation this year that Netflix would offer streaming-only subscription plans, and now the company is testing them, priced at $7.99 per month, in the United States. There is no official word as to when these streaming-only plans will see a wide rollout in the US. Even though Hulu Plus and Netflix will have a similar pricing structure, Hulu Plus' offerings aren't mind-blowing. In a side-by-side comparison, Netflix packed more than 20,000 available titles, whereas Hulu Plus has only 2,000-plus TV episodes. And when a Hulu vs. Hulu Plus vs. Netflix title comparison chart was released this summer, Hulu Plus barely sounded like it was worth the cost. Hulu also said "many more mobile phones, tablets, set-top boxes, and Internet-connected devices" will be announced in the coming weeks. 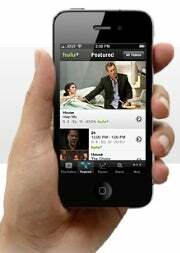 Though Hulu as a company is doing well -- 30 million users and $240 million in revenue in 2010 -- GigaOM mentions a recent survey found that only 4 percent of Hulu viewers subscribe to its Plus service, and that 88 percent of Hulu Plus subs also have a Netflix subscription. That Hulu Plus hasn't found any loyalists yet isn't encouraging. So is this 20 percent cut simple competitive economics, or is Hulu getting desperate for subscribers?